Portugal 2009 "Bicentenary of Charles Darwin's birth"
The year 2009 marks two fundamental anniversaries in the fields of biology and modern science: 200 years since the birth of the English naturalist Charles Danwin and 150 years since the publication of his seminal work "On the Origin of Species". 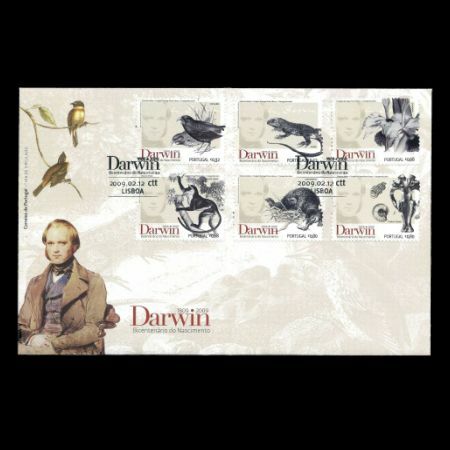 The CTT - Portuguese Post Office made these anniversaries with a set of stamps that portray both the scientist himself and some of the species he studied. 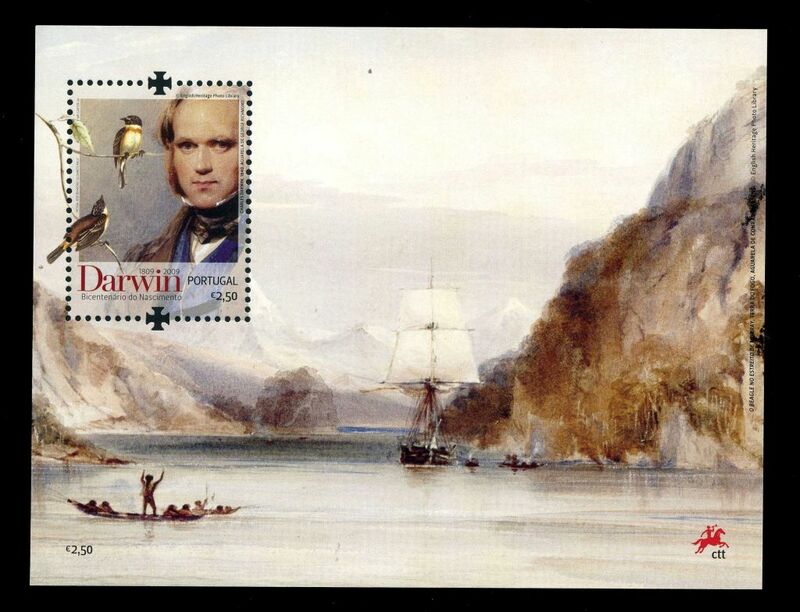 Charles Robert Danwin (1809-82) developed a keen interest in nature studies from an early age. Aged 20, he wrote papers on oyster parasites, published his discoveries on the morphology of coleoptera and made his mark in geological studies, a domain in which he embraced Charles Lyell's theory that the earth's crust was slowly being transformed by continuous processes still visible today. 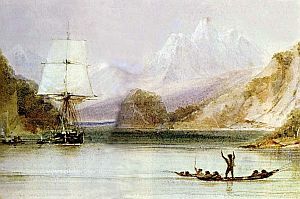 He was still a young man when he embarked on his famous five-year voyage aboard the Beagle (1831-36), during which he explored the geology, fauna and flora of the places he visited. 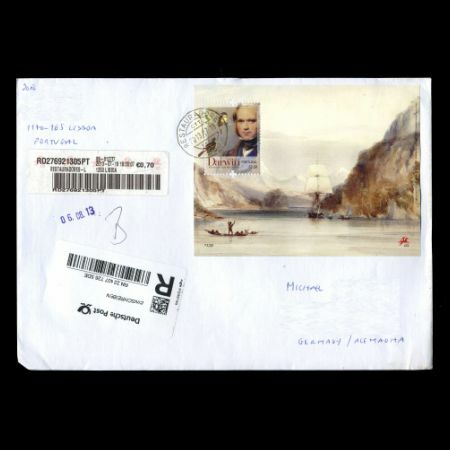 The souvenir sheet features a watercolour by the artist Conrad Martens, who was also on board, painted on a visit to Tierra del Fuego. 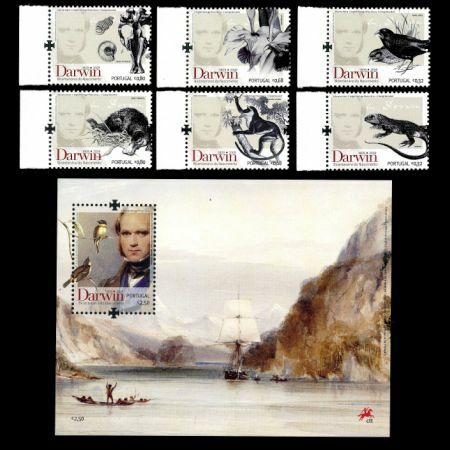 During his voyage, Darwin recorded the variety of species suited to the environmental conditions in each location and reflected on the reasons for such diversity. 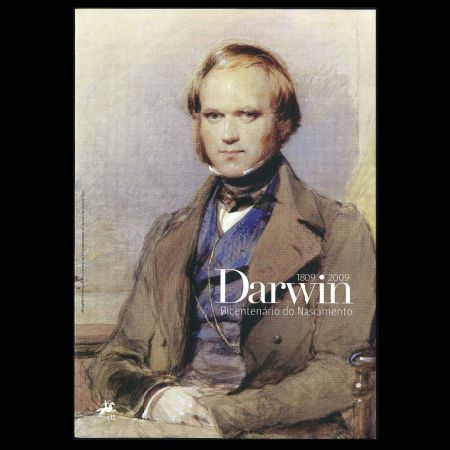 He formulated his Theory of Natural Selection a few years later, however it was not until two decades later that he would write and publish his Theory of the Origin of Species by diversification from a common origin. 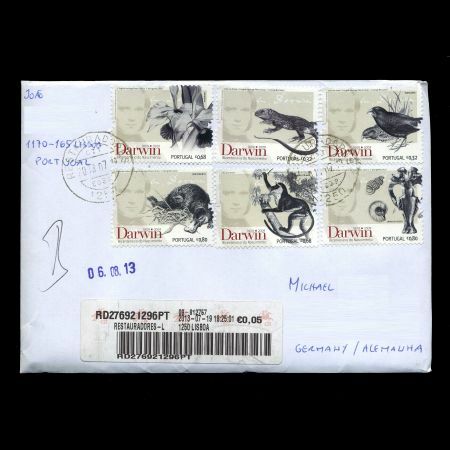 Darwin clashed with the ideas on the immutability of species prevalent at the time, initiating a debate that still has echoes in society today. 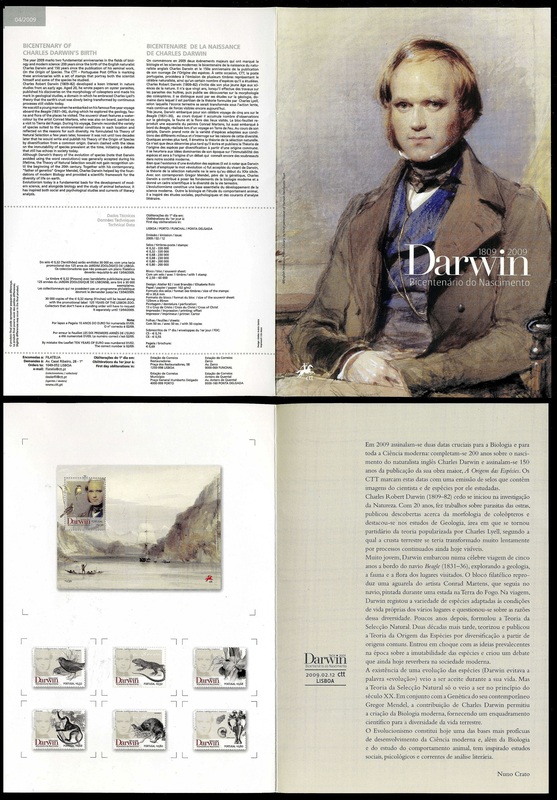 Although Darwin's theory of the evolution of species (note that Darwin avoided using the word "evolution") was generally accepted during his lifetime, the Theory of Natural Selection would not gain recognition until the beginning of the 20th century. Together with his contemporary, "father of genetics" Gregor Mendel, Charles Darwin helped lay the foundations of modern Biology and provided a scientific framework for the diversity of life on earth. Evolutionism today is a fundamental basis for the development of modern science, and alongside biology and the study of animal behaviour, it has inspired both social and psychological studies and currents of literary analysis.